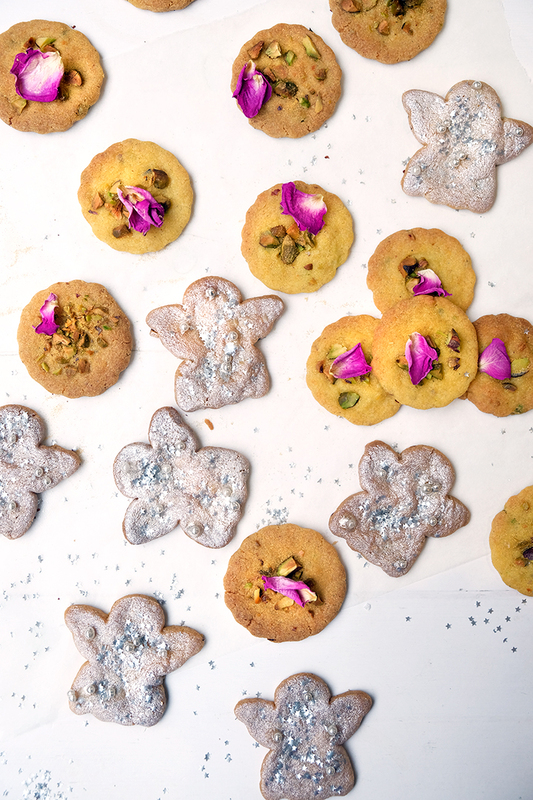 whisk the butter and sugar together until pale and smooth, then add in the remaining ingredients, with half the crushed pistachio and mix well, work together with your hands until ingredients come together into a dough. Refrigerate for a minimum of 30 minutes. Dust a surface with flour and then roll out the mixture to the thickness of about 1cm, use cutters to stamp biscuits. Transfer to a non stick lined baking trays, leave a little room between each one. Bake for 15 minutes, until firm and light golden.